Subitizing is the ability to recognize numbers without counting. Dot cards can contribute to children’s understanding of number concepts, counting, composing and decomposing numbers, and a variety of standards. Hint! Start with dot patterns up to 6 and then extend it to 10 when they are ready. *Make sure to download dot cards on card stock or heavy paper. Children match up pompoms, beans, erasers, pebbles, and other small objects with dots on cards. 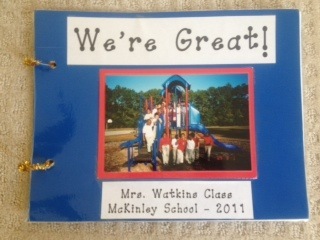 Children use the appropriate number of paper clips or clothespins to attach to the dot cards. The teacher holds up a dot card. The children try to reproduce the pattern with their own counters. Sort dot cards by amount. Sort odd and even cards. Students line up the dot cards in numerical order from largest to smallest or smallest to largest. Match dot cards with dots on dice. Match dot cards with ten frames with the same amount. Make puzzle games where children match dots with numerals or words. Cards are placed face down on the table. One card is turned over and the first child to say the number gets to keep the card. The partner must count the dots to verify it’s correct. *To make the game more challenging, ask them to say one more than the quantity of dots, one less, two more, etc. Run off two sets of dot cards. Place them face down on the floor. One child at a time turns over two cards. If the cards match they make keep them and take another turn. If the cards don’t match, they are turned back over and the next child takes a turn. You will need several sets of dot cards for this game. Shuffle the cards and lay them face down in a pile. One child at a time chooses a card. The child with the largest number of dots wins both cards. If they turn over the same amount they continue to draw cards until one player has a higher number. Shuffle dot cards and place them face down on the table. Each child chooses two cards and lays them in front of them. Another card is selected. If it fits between their two cards they get a point. (Use tally marks to keep score.) Place the cards on the bottom of the pile and continue the game. Two children have a set of cards and face each other. They each turn over a card and add up the amount. The first child to correctly say the answer gets to keep the cards. How about making some dot plates? Whew! I think you’ve got the idea!!! There are three other math tools that will build a foundation for the Common Core Math Standards. 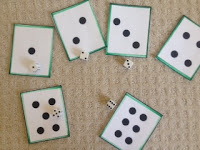 Today I’ll share ideas for ten frames, tomorrow we’ll explore dot cards, and then it's rekenrek time. Here are two good sites for downloading ten frames and dot cards. An understanding of “ten” is essential for working with larger numbers. It helps students visualize the numbers and gives them an understanding of the relationship of numbers to ten. Note! Many researchers suggest starting with a five frame before presenting a ten frame. Give children counters (bears, buttons, small erasers, dry snacks, seasonal objects, etc.). Call out a number and demonstrate how to place the counters in the frame starting on the left. Remind them to always start with the first frame on the left. *Turn the frame vertically to make sets. *Can you place the counters in a different way? *Have children count forwards and backwards on their frames. Children take one or two dice, roll them, and build that amount on their frame. Show a numeral or dot card. Challenge children to make the set on their frame. Have students fill up their frame with counters. Call out a number. Can they remove counters or add counters to build the new number? Place counters for the first addend on the top row and the second addend in the bottom row. How many altogether? *Take away counters for subtraction problems. Extend to a double ten frame for building numbers to 20. 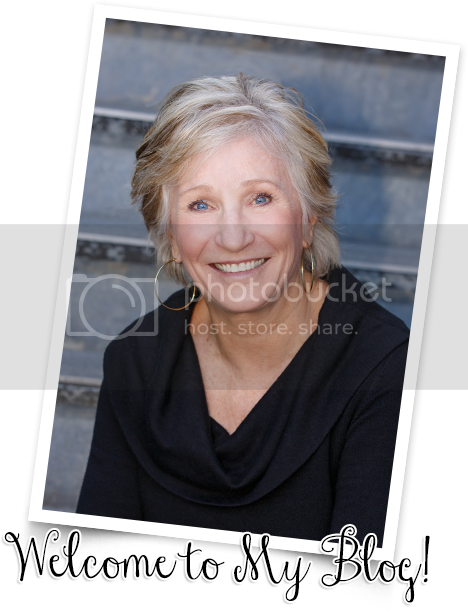 *Use a file folder to make a single or double ten frame for each child. Draw a large ten frame on the sidewalk with chalk. Let children stand in the frames to build sets, add, subtract, etc. *Make a giant ten frame with tape on the floor in your classroom or draw one on a shower curtain with a permanent marker. have these number vests in their classroom. You can write them yourself or download them free at makinglearningfun.com. (Better yet, ask a parent to download them for you!) Put them in clear sheet protectors, punch holes at the top, tie on string, and you’ve got a math tool to use all year long! Hint! You’ll have to make your own =, +, -, and < and > signs. Counting - Have children get in numerical order according to the number they are wearing. Songs - Wear number vests as you sing “Five Little Monkeys,” “I Know An Old Lady Who Swallowed a One,” and other songs. Writing – Children can trace over the numerals with a dry erase marker and then erase. They could also drive over the numerals with a little car or roll play dough and put it on top of the numerals. Number Words – Write number words on the back of the vests. Use them interchangeably in rhymes and counting. Inequalities - Put up two numbers and have children choose “<” or “>” to go between them. Addition and Subtraction - Have children make number sentences using the numbers and signs on the vests. Fact Families – Move numbers around to demonstrate different fact families. Word Problems – Use number vests to engage children in solving word problems. Make a “High Five” book with children’s fingers. 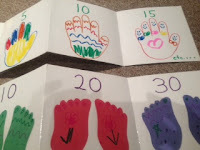 Trace around each child’s hand and let them decorate it. Attach pages with tape to make an accordion book. Number pages 5, 10, 15, 20…etc. *Make a “Piggie Book” by tracing around children’s feet. 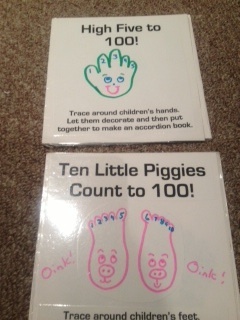 Practice counting by ten’s with this book. from 21-30, and so forth. Patty cake or cross and tap as you skip count. Slap thighs on odd numbers and clap hands on even numbers. Draw the face of a worm (Numbo) on a circle or paper plate. Cut 10-15 circles out of construction paper and number 1-10 or 1-25. Pass the circles out to the children. Place Numbo’s head on the floor and ask the children to help him grow. The child with “1” puts her circle down, followed by “2,” “3,” etc. Ask questions, such as: “What number comes between 7 and 9? What comes before 13? What is 2 more than 4? *Cut circles out of different colors of construction paper. Start a pattern on Numbo and see if the children can extend it. There are many variations of this game. Children stand in a circle and each child says a number in order. When you reach ten that child sits down. At the beginning of the year start again with one to reinforce counting to ten. *As children progress, count higher and have children sit down every time you reach a ten. For example, 10, 20, 30, etc. would sit down. *Adapt this game for counting by 5's or other multiples. *The teacher randomly picks a starting number and stopping number. For example: 17 and 32. What better way to develop counting and cardinality with a song or a rhyme! So they hopped and were glad in the sand and the sun. So they swam and were glad where the stream runs blue. So they flew and were glad in the nest in the tree. So they squirmed and were glad by the old apple core. So they buzzed and were glad by the big beehive. 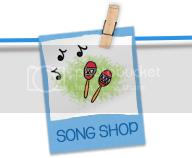 Activities: Assign children to be the different animals in the song. Have them move hop, swim, fly, wiggle, and buzz around the room when their verse is sung. Fold 3 sheets of paper in half. Staple. 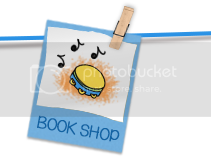 Let children illustrate a number book to go with the song. And they all went marching one by one by one. And they all went crawling two by two by two. And they all went flying three by three by three. The fourth one got tired and down she plopped. And they all went hopping four by four by four. And they all went galloping five by five by five. He wouldn’t end up as a tasty dish. And they all went swimming six by six by six. And they all went creeping seven by seven by seven. But they all kept wiggling eight by eight by eight. And they all went swinging nine by nine by nine. ‘Cause they were on their way to school. And they all went walking ten by ten by ten. You can download a free book that goes with this song at drjean.org June. Click “Free Activities” and scroll down to Number March. Activities: Let children take different verses and illustrate them. 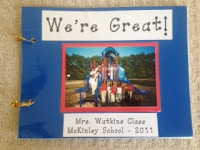 Put their pictures together to make a class book. The pan got hot and it went BAM! Cut hotdogs out of paper and glue them to spring clothespins. Draw a pan similar to the one shown on a file folder and make a slit along the middle of the pan. 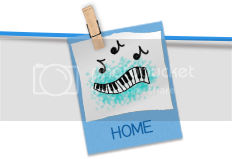 Attach the hotdogs and remove one at a time as you sing the song. 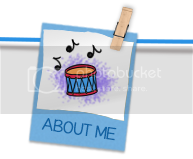 When the pan goes “Bam!” close the file folder. Activities: Choose five children to act out the rhyme. Activities: Choose ten children and let them “roll” out of the bed one at a time as you sing the song. Mother’s going to the store. Mother, mother, get some more. Five small noodles on my noodle plate. Salt and pepper, tastes just great. Mother, mother, I am stuffed. I think that I have had enough! 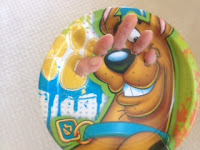 Activities: Take a paper plate and cut out five holes as shown. Stick fingers in the holes to match the noodles in the rhyme. Enough with letters! What about us numbers? And make numerals all day long! *Give children a strip of tissue paper and let them make the numerals in the air. *Make dots with water soluble markers and then put drops of glue on top. Children can trace over the dots as they say the number chant. *Put a squirt of shaving cream on each child’s desk so they can practice writing the numerals as they sing. *Hide magnetic numerals and shapes in the sand for children to find. *Have children lay on the floor to make shapes and numerals with their bodies. *Glue magnetic numerals and shapes to craft sticks and challenge children to match them up with numerals or similar shapes in the classroom. Come back tomorrow for another exciting adventure in Number Land! This alphabet book will build your classroom community and introduce vocabulary words. We’re great, but no one knows it. No one knows it so far. Some day they’ll realize how wonderful we are! Let’s cheer how we’re wonderful beginning with A. tune??? It will work if you just say the words. from the above chant to start your dictionary. Add words that children suggest. *Let children make an acrostic poem by writing the letters in their name vertically down the left side on a piece of paper. Can they write an adjective that describes them for each letter? *How about a vocabulary parade? Have each child choose a "wonderful" word. 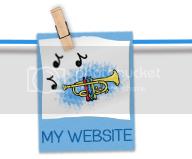 Write it on a sentence strip and let them decorate it. Pin it to them and let them walk around the room parading their words. your head to remind you of that." Give each child a sheet of paper and ask them to write all the letters they can. Take their papers and bind with book rings. Make a front and back cover that says “I Spy Letters!” Select one letter on each page and write, “I spy __!” Give children a magnifying glass (pipe cleaner twisted into a circle) or bubble wand to find and frame the letter. Walk around the school and take photos of words for all the letters of the alphabet. Put them together to make a book. Have children make letters with their bodies. Take pictures. Put the letters together to make a book. *Divide children into groups of 3 or 4 and let them lay on the floor to create different letters. Take photos for a book. anything children are interested in. connection. What are your favorite websites and videos for alphabet knowledge? BACK TO SCHOOL PRESENT FOR YOU! OH! OH! OH! O-CANADA IDEAS!! JUST A DOT - NOT A LOT! SCISSORS AND CRAYONS AND GLUE - OH, MY! BUSHELS OF IDEAS FROM THE CORNHUSKERS! O- O - O - O - OMAHA!